Goal: Write 10,000 words of book 3, STEEL BLOOD. Progress: A little over 5,500 words. Part of that was because I didn’t even start writing until August 18, and the other part was crippling uncertainty as to the way I was starting the novel, which is one of the hardest parts of any book. But after two great sessions with my critique partners, I think I’ve got my mojo back and I’m ready to press on! Goal: Finally finish the complete draft of the first STEEL EMPIRES universe prequel story. Progress: Done! I’m really pleased with this story and my critique partners seem to like it. It’s currently with another beta reader for a final coherence check. Reach 20,000 words in the first draft of STEEL BLOOD. Finish my massive re-read of Carrie Vaughn’s entire Kitty the Werewolf series before reading the final book (I just started book 7 tonight). Fix anything the beta reader finds wrong with the prequel story and send it off to my copyeditor and cover artist. 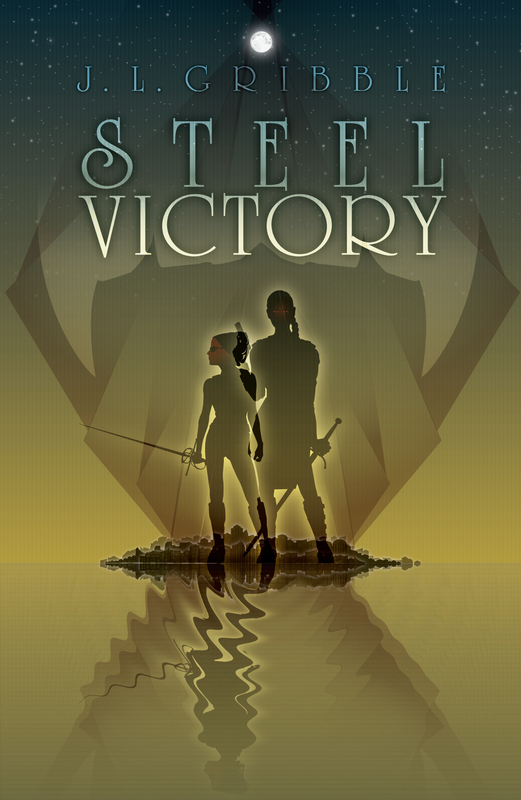 STEEL VICTORY book promotion! I’ve started slacking on that due to my current love/hate relationship with book 3, but I’ve got a list of great ideas that I need to start working on. 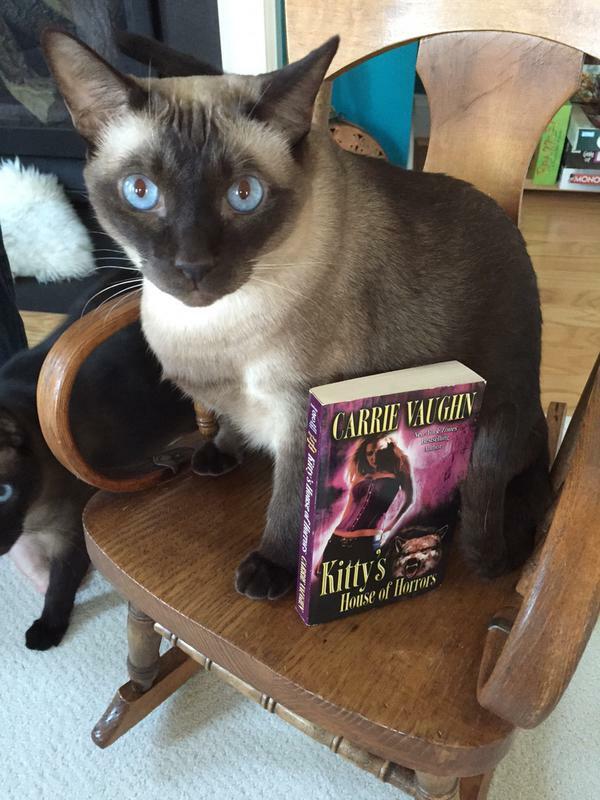 Nicki the cat presents “Kitty’s House of Horrors” by Carrie Vaughn as his sister Lucy photobombs in the background. 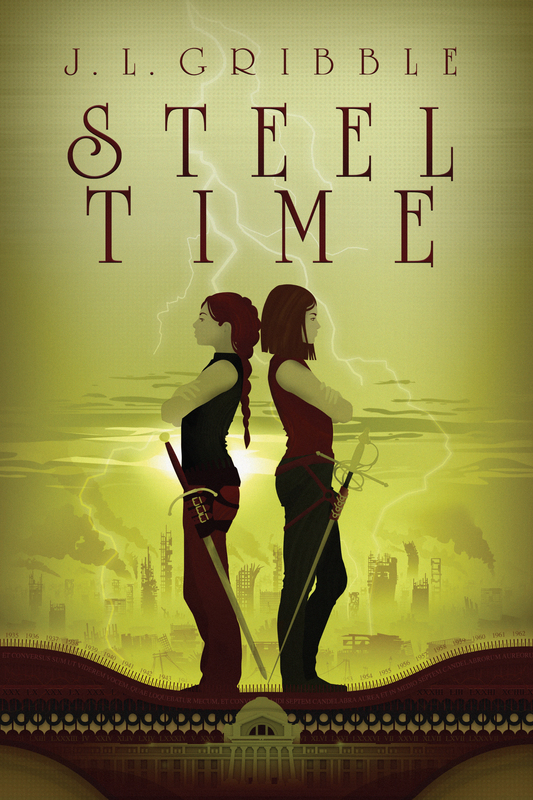 This entry was posted in Uncategorized and tagged books, Carrie Vaughn, cats, reading, Steel Blood, steel victory, writing. Bookmark the permalink.